One thing I love are companies that have good products but also do good works. I've told you many times how I love Noonday - their jewelry is the CUTEST but they are helping women by providing employment in so many third world countries. So I have a friend who works for a company who has started something great. The brand Buyamba was started by ACI International in an effort to help displaced women and children through employment, a sense of purpose, and through the support of education. 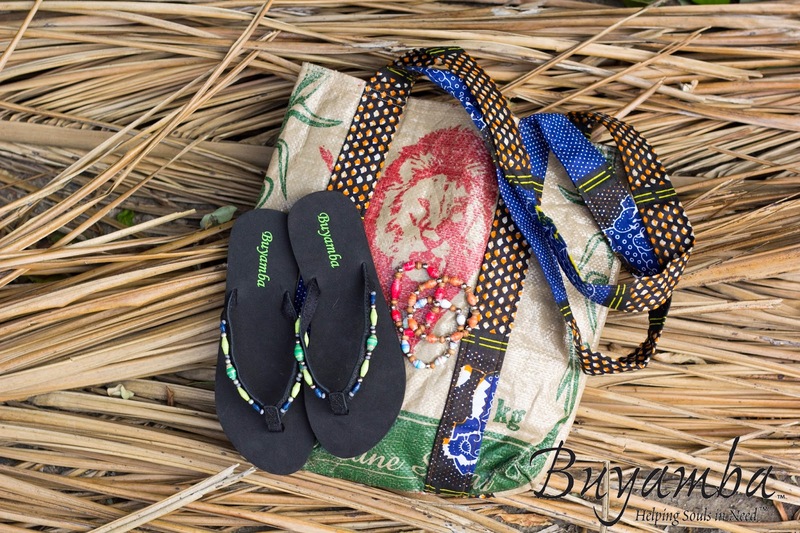 To date, more than 200 women have been trained and employed to create the beautiful hand rolled beads, made from discarded and recycled paper that now adorn Buyamba's spring sandal collection. Now earning a fair wage, these women, many widowed and raising children alone are able to support their families and help their communities. The vision behind Buyama is two-fold. The first priority was to create jobs for women in Uganda. Second was to support the children by donating a portion of the proceeds towards their education. You can check out their products at shopbuyamba.com. 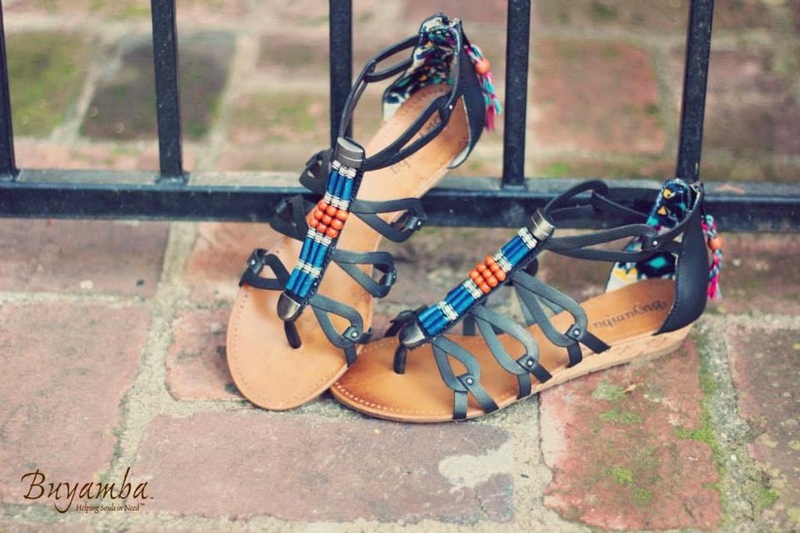 If you are looking for sandals for this spring/summer - just know you could get cute ones here AND also help women and children in Uganda. How great is that? And I'm giving away a fun BUNDLE from Buyamba!!!! !